Everybody likes a good user interface in a smartphone. An interface that provides maximum flexibility and functionality is generally applauded by many. There are a number of launcher apps currently available in the Google Play Store, but how many of these are actually worth your time and money, is a question we will address today. Quicktheme feature will automatically use the colors from your wallpaper to customize the colors of items on your home screen. The app now has integration with Google too, so the conventional users can enjoy it equally. Other features in this smart launcher are covers instead of traditional folders, Quikedit option to change icons instantly, icons that are resized according to the size recommended by Material Design, Shutter and a Quickdrawer. A great way to rediscover the look and feel of your Android device is to get the Google Now Launcher app from the Play store. 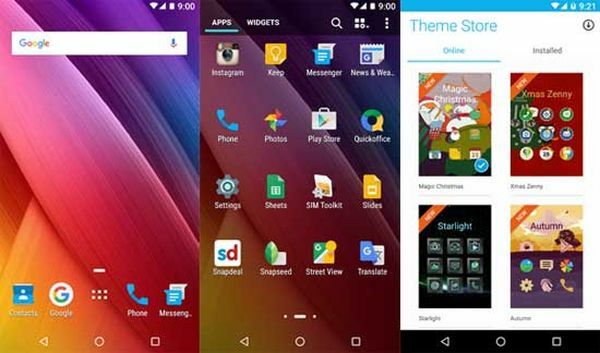 In addition to completely changing the look of your home screen and giving you the flexibility of customizing it, the launcher also improves your experience by the swipe for Google Now feature. By a simple left swipe on the screen, you can directly land on Google Now. 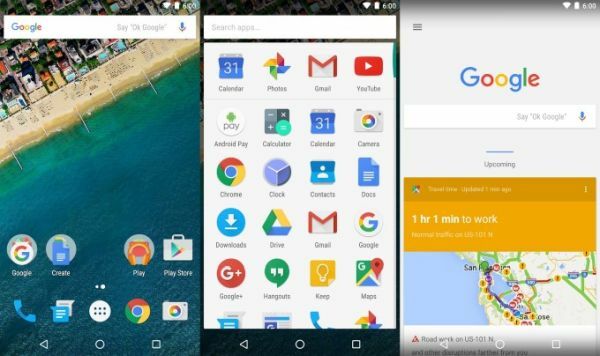 An alternate way is the voice responsiveness, where you just have to say “OK Google” to your home screen. An added icon is the Google Now Cards, where you can get all necessary information without even searching for it. Weather, traffic, news, match-scores everything comes at the same place. This launcher is currently available at a price of $3.92 on the Google Play Store. It transforms your Android phone by making it more intuitive, organized, and flexible. Consuming less battery and RAM, this app allows you to enjoy your smartphone without the time-lags and batterydrains. With a quicksearch icon for searching the web, contacts, or files, easy navigation while multitasking and an organized UI where apps are categorized and sorted, the Smart Launcher Pro 3 is a great investment. 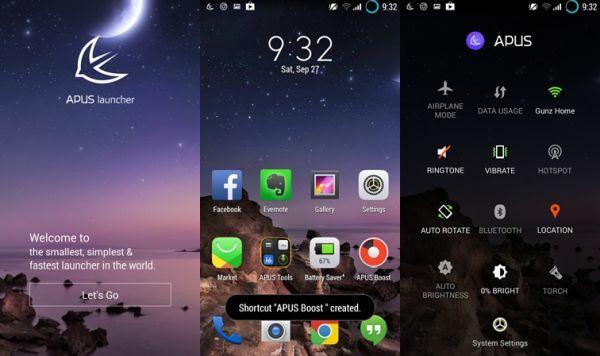 Surpassing all your expectations from a free launcher, the APUS launcher is a fun and fast way to personalize your Androidphone in all aspects. 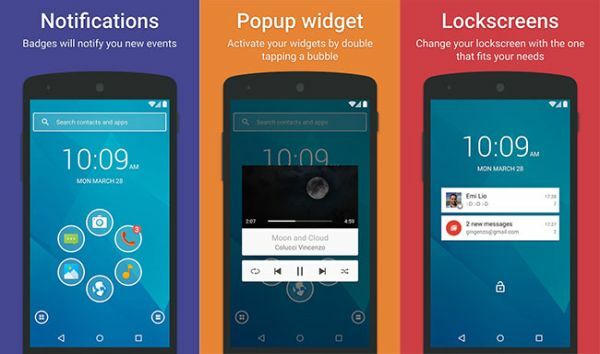 With a chic interface, the launcher adds style to your device. You can choose from thousands of free HD themes and wallpapers, categorize your apps and folders and aquicksearch through your files, apps, and the internet. The app suggests ways in which you can boost your RAM and increase your phone’s performance. This totally customizable launcher can be bent in many ways. From customizing wallpapers, themes, app list, home screen apps, lock screen apps, fonts and even the colors and sizes of icons; this Android app has myriad functionalities. With hundreds of free themes and wallpapers at your service, the launcher gives you quick access through a direct shortcut to its themes store. Its intuitive Contextual App Discovery lets you know of the top recommended apps for your device. You can group together similar apps using the Smart Group feature. Protect your device from prying eyes with the AppLock and HideApp features. The launcher has integrated antivirus and security system to protect your device from unauthorized access. The Android experience is truly enjoyed when it is played around with. 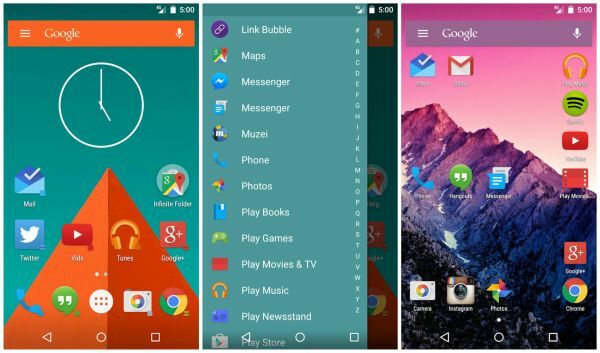 Launcher Apps likeZenUI Launcher, Google Now, and Action Launcher give the users the freedom to be playful, and provide a touch of personality to their smartphone.